I had a question about what incense to use for suffumigating a fixed star talisman during consecration. Suffumigation means to move the talisman back and forth through the rising smoke of incense. This is a very important part of any talisman consecration. Take a look at my Consecrating Talismans Video. One of the reasons that we stick to Hermes on the 15 Fixed Stars is that we have extensive lists of what these stars rule, which allows us to determine appropriate materials for the talisman and for incense to use for suffumigating the talisman. 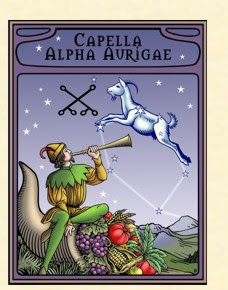 For the fixed star Capella, for example, Agrippa says, "Horehound, Mint, Mugwort, and Mandrake" Hermes says "Horehound seed mixed with equal parts of mint, wormwood and mandrake" For Spica, Agrippa says, "Sage, Trifoile, Perwinkle, Mugwort, and Mandrake." Hermes says, "Sage juice with trefoil, periwinkle, wormwood and mandrake" You don't need to use all of these, so for Capella, mint or mugwort, either of which is quite easy to find, is excellent for suffumigation. Mugwort doubles up with Spica! Now, of course, for resin incense and herbs, you need charcoal and an incense burner. Lit the charcoal and place the herb or plant on the burning charcoal. ALWAYS do a Google search to see if burning a plant, herb or resin is toxic, as some of the listed herbs, etc. are toxic. Ok, next option is just to use stick incense. This is what I increasingly do, following Zen Buddhist rituals. The most important thing is to burn some kind of incense and at least one candle. Don't think, "well I can't get mandrake, so I will just give up and do nothing" Incense and candles are pretty key. Now, I use a very tiny amount of incense as I don't like smoke. Some people can't handle any at all and have used essential oils. The jury is still out on this, probably better than nothing though and if you have a severe allergy, then I think the planets and stars will understand. Here is More information on fixed star talismans and a Video on Consecrating Astrological Talismans. I had a poster ask about the "Considerations Before Judgment" citing John Frawley's skepticism about them in his Horary Textbook and asking me what I thought about them. The Considerations Before Judgment are listed in Lilly's Christian Astrology at pages 121-3. Some contemporary practitioners of traditional astrology have taken to refusing to judge charts if any of the considerations are present. I agree 100% that the presence of the "considerations before judgment" do not mean that the chart is inaccurate. I have judged many, many charts with considerations and I find that far from making the chart unjudgeable that they provide very useful, albeit typically negative information. This is similar to technical radicality, which Lilly mentions as the first type of consideration on page 121 of Christian Astrology. This is checking to see if the rising sign corresponds to the planetary hour. Again, I find that being technically radical is a plus, but lacking it does not mean that the chart is inaccurate. This is probably the most confusing part of my readings for clients, since they frequently ask about it. And I'm not being just being modern, here. 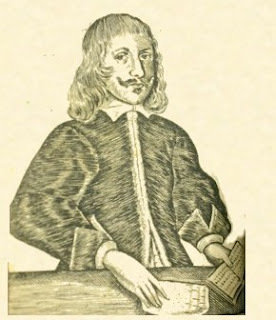 Nicholas Culpepper in his Opus Astrologicum, Aphorism 21, cites technical radicality and then comments, "I have found many Questions to be true where this [technical radicality] is not so." "Ok, we got 0 degrees rising. This has two possible meanings. (1) 0 degrees rising means you are not asking the root question. What do I mean by root question? I had a client ask, "Should I move to Austin?" We got 0 degrees rising. I asked, "Is this the root question?" They answered, "Oh, should we even move from Ann Arbor?" The answer was no. Second example, the client asked, "Should I get the surgery with Dr X?" 0 degrees rising, again I asked "Is this the root question?" they asked, "Oh, should I even get the surgery?" Answer, no. (2) 0 degrees rising means the situation has not jelled yet. So consider whether you are asking the root question. If not, ask the root question. If you think you are, then wait a bit and ask the question again." What is really uncanny about 0 degrees rising charts is that the chart/situation really starts talking to you, you almost get a dialogue going! I once had a client who got 0 degrees twice in a row, the chart was emphatic that they weren't asking the right question! I'm not sure I would describe the considerations as "tricks". We moderns tend to automatically reject anything we don't immediately understand. We have a very rigid view of how things work and if something doesn't fit, out with it! Also we tend to be very skeptical of the past. This is not how traditional thinkers operated. They respected the tradition and were willing to accept many possible outlooks simultaneously. Rather than rejecting past technique, they would typically mention it and then say, "but I don't personally follow this". After 15 years of using the term "traditional astrology" as a label for the astrology practiced in Europe between 1200 and 1700 without incident, all of a sudden this definition is WRONG! Everyone must now get in line with the new orthodoxy, which is since "traditional" is good, then all astrology (with the possible exception of modern, at least for now) is now "traditional". After all if there is a tradition of astrology, then certainly Hellenistic astrology must be part of that tradition, therefore it is "traditional" too. Let me first say that, thank goodness, for the most part we live in societies where we are all free to use whatever astrological terminology we wish. I have no problem with astrologers setting up their own web sites, discussion groups, blog, Facebook pages, etc., and changing around whatever definitions or terms they wish. What I object to is being deprived of freedom of speech on my own website, discussion group, blog and Facebook page. I've been told, in effect, that I am wrong and that I have an obligation to change how I speak, act, write and teach. So what's going on here? My main goal in using the term "traditional astrology" is to try and have an accurate label and all be on the same page when discussing different types of astrology. Astrology in the West does basically divide itself chronologically and in terms of technique and philosophy into several internally coherent and consistent systems. Astrology appears to have originated in Babylon and Chaldea circa 400-200 BC and diffused to the Graeco-Roman world. Graeco-Roman astrology circa 200 BC to AD 400 is generally referred to as Hellenistic astrology. Astrology was practiced in the Eastern Roman or Byzantine Empire, and then diffused to the Islamic civilization of the Middle Ages, there circa 800-1000 AD a new type of astrology, a new synthesis of Western Hellenistic and Persian astrology with Syriac and Indian astrology, was created. This Arabic astrology was the basis of European astrology in the Middle Ages and Renaissance. The difference is mostly one of simplification as astrology moved forward in time. So "traditional astrology" is the term I use for European astrology of the Middle Ages and Renaissance or European astrology as practiced between circa 1200 and 1700 AD. Clearly one could move a bit earlier or later, one can always argue over specific boundaries. Nevertheless medieval and Renaissance European astrology is a unified and coherent school and system. 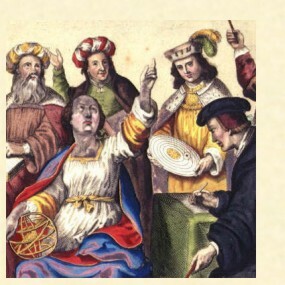 Traditional astrology as a term is much less of a mouthful than "European astrology of the Middle Ages and Renaissance" or "European astrology as practiced between circa 1200 and 1700 AD"
Astrology then essentially died out in Europe circa 1700, due to the "Enlightenment" and the rise of atheistic/materialist views of reality. When astrology was revived in the late 19th century, it had lost much of its technique and ability to predict. The fusion of Jungian psychology and New Age thinking gave rise to modern astrology, predominately concerned with psychology and almost entirely focused on natal astrology. So, basically what we have are 3 general areas of Western astrology, that is Hellenistic, Traditional and Modern astrology. These areas are quite distinct from each other and use very different techniques and methodologies, though of course they have a family resemblance. When I first started practicing traditional astrology, 15 years ago, different astrologers used different terms for it. Zoller, since he focused on Bonatti, said he was a "medieval" astrologer. My main horary teacher Lee Lehman used the term "classical" astrology, though I felt this was confusing because classical usually meant Graeco-Roman and thus there was confusion with Hellenistic astrology. My original horary teacher Carol Wiggers used the term "traditional" astrology. This made sense to me. However, the other major astrologer, John Frawley, using the term "traditional" astrology had a different twist on it. Frawley speaks of "the Tradition" and this concept is clearly very important to him. See his Tradition article. I'm still not entirely sure what he means by it and this is not what I am talking about when I say "traditional astrology", for me it is just a synonym for medieval and Renaissance European astrology. Next, the term "traditional astrology" has developed some cachet, some prestige. I think this is due to the efforts of many astrologers, Frawley, certainly, perhaps myself, but more to the fact that traditional astrology is unsurpassed in its predictive power and accuracy and unusual in that there are significant numbers of astrologers who don't mix and match, but practice only traditional astrology. When we look at what astrologers actually do in their practice and what methods and philosophy they espouse, in my opinion, there really are only 2 kinds of astrologers, traditional and modern. Modern astrology is built on a buffet style, grab bag approach. All other types of astrology are just giant bone heaps that can be mined for little nuggets of technique. The modern astrologer assembles their own personal bricolage of methodology and creates their own personal synthesis. Nothing wrong with that, if one is an astrological genius on the level of Abu Mashar or Mashallah. I know I'm not, so I prefer to stand on the shoulders of giants, our illustrious predecessors, another reason I am a traditional astrologer. So with this in mind, my view is that there are no actual Hellenistic astrologers, because no one actually practices with all of their technique being Hellenistic. Many so called Hellenistic astrologers are simply modern astrologers with a higher percentage of Hellenistic technique than is normal, with modern and traditional methods also mixed in. Same with Mayan, Celtic, etc., etc. Basically these terms become the equivalent of a designer label, purely for prestige, without accurately describing the contents. This is what the new orthodoxy wants to do with the term "traditional" get the prestige, but make the term meaningless as an accurate label of technique. Traditional is now supposed to mean everything other than modern and no doubt the moderns will argue that they are traditional, too, if the term gets any more cachet. I was a traditional astrologer when that term was meaningless to most astrologers (it still is actually) or when it was a red flag to various modern astrologer bulls. That it has picked up some prestige is nice, but that's not why I use the term, I use it because it seems to me to be a useful way to label a particular school of astrology. I will continue to use the term "traditional astrology" as I have for the past 15 years. Others are free to disagree, everybody can think whatever they wish on their own time and in their own space. But that means I get the same freedom not to be hassled, pressured or harassed on my discussion group, blog, etc. Let's grant each other the right to disagree and respect that right. Once everyone has made their opinions clear, refusing to stop arguing, continue to put pressure on those that disagree with one's position is profoundly selfish and disrespectful.